New Delhi, April 16: The employees of the Indian multinational information technology company Tata Consultancy Services (TCS) were left disappointed after the tech firm gifted them wrist watch on completing 50 years. The employees were expecting cash bonuses, jewellery, homes and cars but the gift was from the Tata table- a Titan wrist watch. Tech Giant TCS to Conduct Exams for ALP & Technician Posts on Behalf of Indian Railways. Unhappy over the gift, a top executive of the tech firm said, "There is total disappointment all across. Many of us were guessing what the gift could be, for over a year. Some thought it would be cars from Tata Motors, homes, jewellery or anything like that from the Tata Group. Others guessed it would a big cash bonus. People have been waiting for a year until April 12, the day of the Q4 announcement." TCS Cheif Executive Officer (CEO) and Managing Director Rajesh Gopinathan, in a statement said, “As we close the end of our fiftieth year, it is a good moment to reflect on the year gone by, and years ahead, to celebrate our diversity, and the agility of our global workforce, to rejoice at our success in being the partner of choice for our customers in this shared journey of growth and transformation.” JRD Tata's Secretary for Over 15 Years Remembers the Businessman, Says Serving Him Was a 'Privilege'. “At the heart of this success is the incredible energy and focus that you bring to this company, and the valuable role each one of you played in building TCS as one of the most respected and valued IT companies in the world," he added. According to The Hindu, Gopinathan said, "To celebrate this occasion, I am happy to share that we have created a special souvenir for all our associates. This souvenir represents the boundless energy that makes TCS tick round the clock and will help remind us of our glorious journey and inspire us to step ahead, fearlessly, into the future." 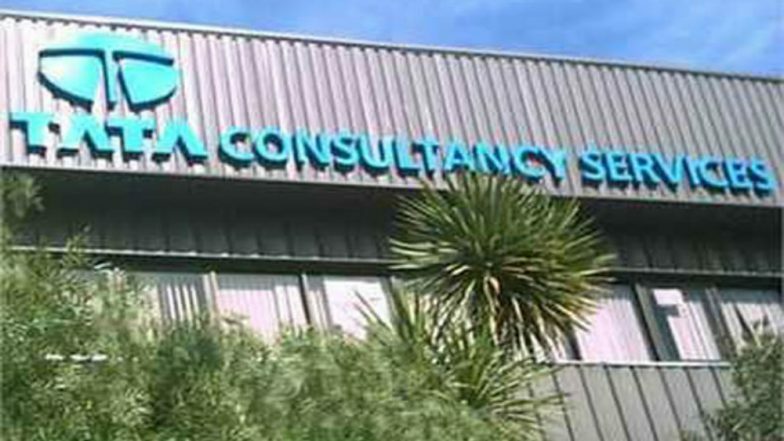 Meanwhile, TCS hit a six-month high of Rs 2,149, up by 2 per cent Today. The stock of the tech firm hit its highest level since October, 2018, on the Bombay Stock Exchange (BSE). The TCS also regained Rs 8 trillion mark on April 16 to reach Rs 8.04 trillion at 12.50 pm.